Yeah, yeah, we got our butts kicked by the team in pinstripes. A sweep, no less. It stinks. 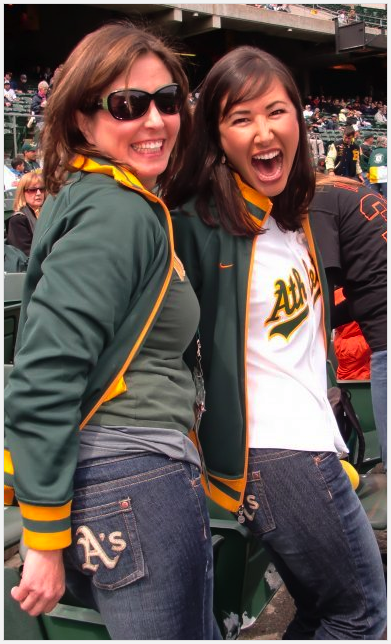 Alyssa Milano (of “Who’s the Boss” fame) designed these jeans for the A’s and other MLB teams (she had a thing for ballplayers, if you’re not up to date on who’s who of players’ girlfriends). Anyway, she did a great job. 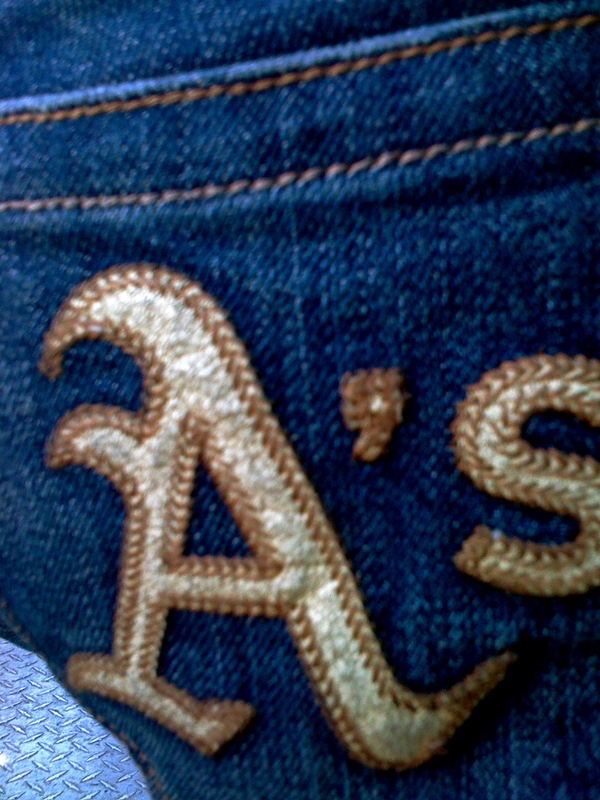 They’re comfortable, durable and have the A’s insignia on both rear pockets and on the mini fifth pocket on the front right. Here’s the best part: they’re still for sale and they only cost $30. I know, amazing deal!!! 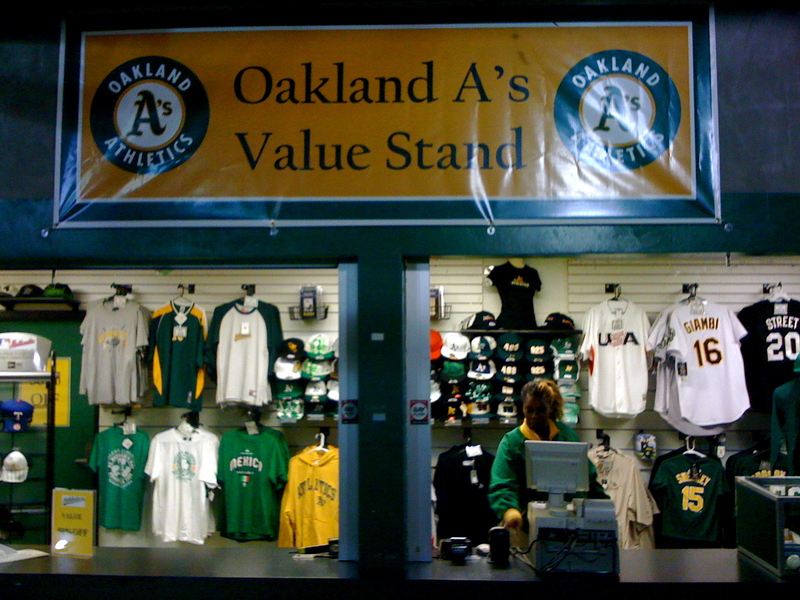 You can find them at the team’s “Value Stand” behind the Left Field Bleachers. 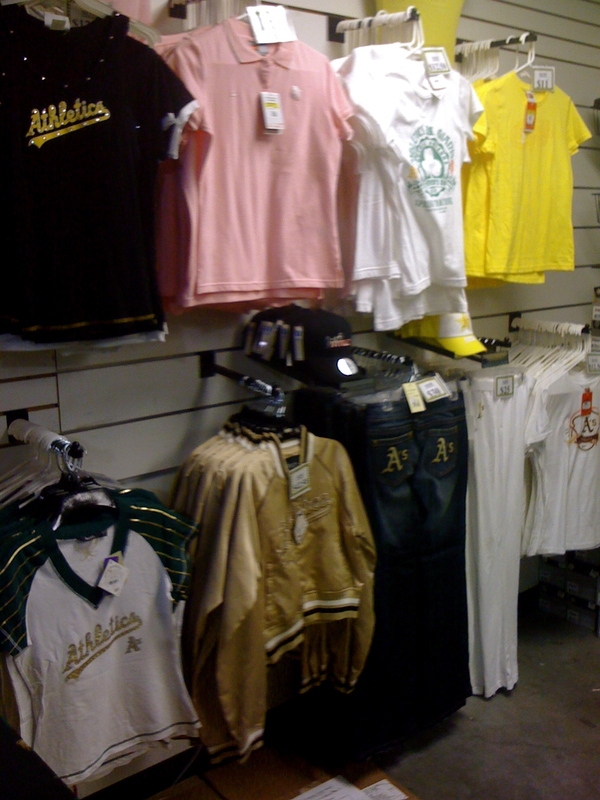 And while you’re there, be sure to check out all the other great A’s merchandise on deep discount. first and tipped me off to them last season. Thanks again, Carrie!